Entrepreneurs and small businesses dominate the energy industry, and have led America’s resurgence as global energy leader. When looking over the last decade, the energy business – specifically in the areas of oil and natural gas – has been one of the few bright spots in a rather gloomy economic story. That needs to be more widely recognized in the final days of the 2016 campaign. d innovation has transformed an entire industry, taking the U.S. from a nation seemingly doomed to rely on foreign sources of energy for the foreseeable future to becoming an energy superpower. As the U.S. Energy Information Administration has reported: “The United States remained the world’s top producer of petroleum and natural gas hydrocarbons in 2015… U.S. petroleum and natural gas production first surpassed Russia in 2012, and the United States has been the world’s top producer of natural gas since 2011 and the world’s top producer of petroleum hydrocarbons since 2013.” Within that mix, the U.S. ranks as the third largest producer of crude oil. And a critical point to keep in mind is that the oil and natural gas business is overwhelmingly populated by small businesses. Consider that in 2014 (latest data), 90.2% of employer firms among oil and gas extraction businesses, 77.5% of drilling oil and gas wells businesses, 80.7% of firms among support activities for oil and gas operations businesses, 59.2% of oil and gas pipeline and related structures construction businesses, and 52.9% of firms among oil and gas field machinery and equipment manufacturing businesses have less than 20 workers. 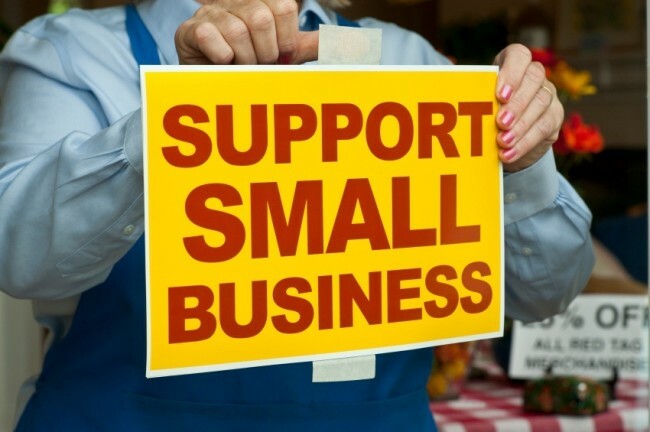 The big business of oil and natural gas is very much about small business. And then there’s growth among employer firms in key energy sectors. While total U.S. employer firms declined from 2007 to 2014 – a drop of 4 percent – the experience has been quite different in these energy sectors. • From 2007 to 2014, the number of employer firms in the oil and gas extraction sector grew from 6,528 to 6,646 – an increase of 1.8 percent. • From 2007 to 2014, the number of employer firms in the drilling oil and gas wells sector grew from 2,059 to 2,121 – an increase of 3.0 percent. • From 2007 to 2014, the number of employer firms in the support activities for oil and gas operations sector grew from 7,134 to 9,735 – an increase of 36.5 percent. • From 2007 to 2014, the number of employer firms in the oil and gas pipeline and related structures construction sector grew from 1,671 to 1,839 – an increase of 10.1 percent. • From 2007 to 2014, the number of employer firms in the oil and gas field machinery and equipment manufacturing sector grew from 786 to 824 – an increase of 4.8 percent. So, while the total number of employer firms in the U.S. actually declined from 2007 (just before the recession) to 2014 (more than five years into a recovery), the energy sector experienced an expansion in the number of employer firms. What makes this story even more amazing is that the Obama administration has been overtly hostile toward the production and use of carbon-based energy, driving ahead with and/or threatened increased regulatory costs (including, for example, it’s Clean Power Plan, federal regulations on hydraulic fracturing, and methane rule), seeking higher taxes on domestic energy producers, and subsidizing non-economic forms of energy. The entrepreneurs, businesses, employees and investors at work in the energy sector have accomplished amazing and important feats in recent years despite a hostile federal policy climate. Looking ahead, imagine what might occur on the energy front if federal public policy was instead open to – even supportive of – increased domestic energy production, innovation and investment? This stands out as a vital issue that candidates for president, Congress and state-level offices need to be talking about, and making clear exactly where they stand. Are they for higher taxes and increased regulations that hamper energy investment, innovation and growth, or do they recognize the need for government to rein in costs and allow the U.S. to continue to flourish as a global energy leader?